Trying to find certain stores within The Dubai Mall – like, say, the Harry Potter wand shop, or the little shop that sells bubble tea – can be like searching for a needle in a haystack. It is, after all, the world’s largest shopping mall. Previously, the best solution would be to hunt down the nearest information station (which can be a mission in itself). But now, The Dubai Mall has launched a brand new wayfinding feature on its app that should make navigating its 1,200 stores and 200 cafes and restaurants a whole lot easier. The free app can be downloaded on both the App Store and Google Play. All you have to do is punch in the name of the store or restaurant you’re trying to find, and you’ll be guided through the mall using an indoor GPS system (kind of like Google Maps, but specifically for the mall). So yes, it works exactly like the information station maps – but now all that information is at your fingertips. The Dubai Mall isn’t the only mall trying to make life a bit easier for shoppers. 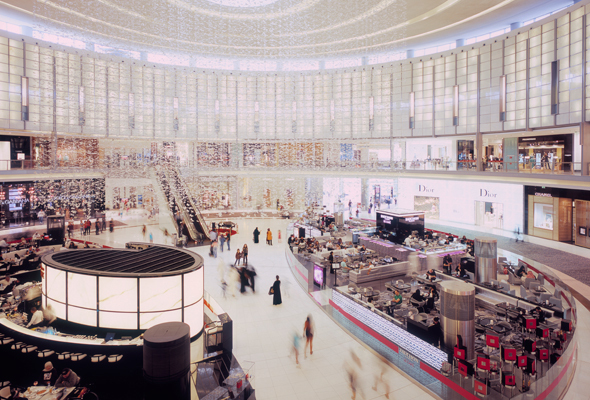 In June, Mall of the Emirates introduced a “hands-free shopping experience” – basically, a service that means you don’t have to carry your shopping bags around all day.